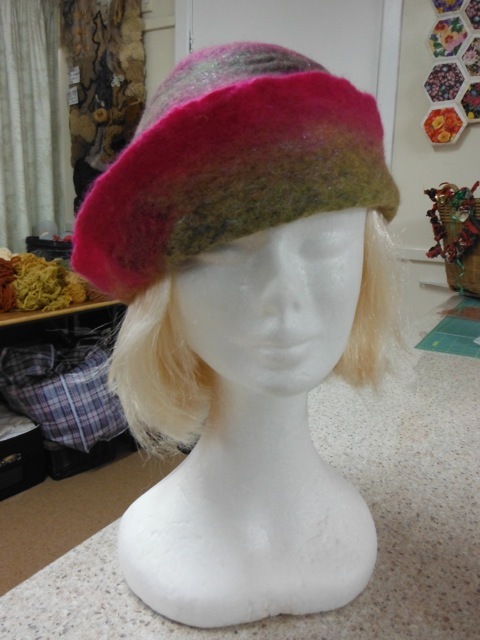 Here is another lovely hat, made on our last felting day. This hat takes approx 1 to 1 1/2 hours to make. Great for everyone to have a go and fun at the same time.